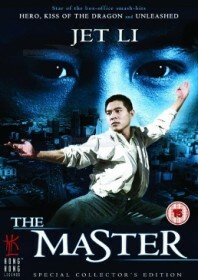 Chaotic Jet Li film in which the young star displays his usual wushu flair in a cross-cultural hodgepodge of a story. Yuen Wah plays a contemporary Wong Fei-hung-type character working as an unassuming Chinese physician in inner-city America who falls foul of rival mullet-sporting bootmaster Jerry Trimble and his gweilo minions. Jet arrives from Hong Kong and is embroiled in the same senseless vendetta, befriending a lovely Chinese ex-pat (Crystal Kwok) and a gang of linguistically challenged Asian Latinos who take Jet as their master. The film is too broad to effectively launch Jet Li as a potential star in the west, and he would have to wait until Lethal Weapon 4 in 1998 for that opportunity. Meanwhile, Tsui Hark would utilise Jet Li much better in period costume for the Once Upon a Time in China films, which followed shortly after.